I built an extensive seo campaign for this company. Their previous websites were malfunctioning, had many broken links, no seo, no alt image tags, etc... Their work is outstanding and they deserve the top positions on Google I achieved for the websites I built for them, and the financial rewards that brings. Works of creative artists and painters in Fort Lauderdale Florida. They work throughout south Florida in Miami, Boca Raton, Palm Beach and in the Florida Keys. I built 3 websites for them totaling more than 200 website pages, 2 yellowpages profiles, a personal Google Plus page for owner Jeanne Hall and several Google plus profiles and verified Google business pages, Yelp listing, Merchant Circle, Manta profiles for the owner and one for their business with multi pages, Youtube accounts, blog connected with their facebook, an online shopping cart, a double sided business card design and a double sided 3 fold brochure. 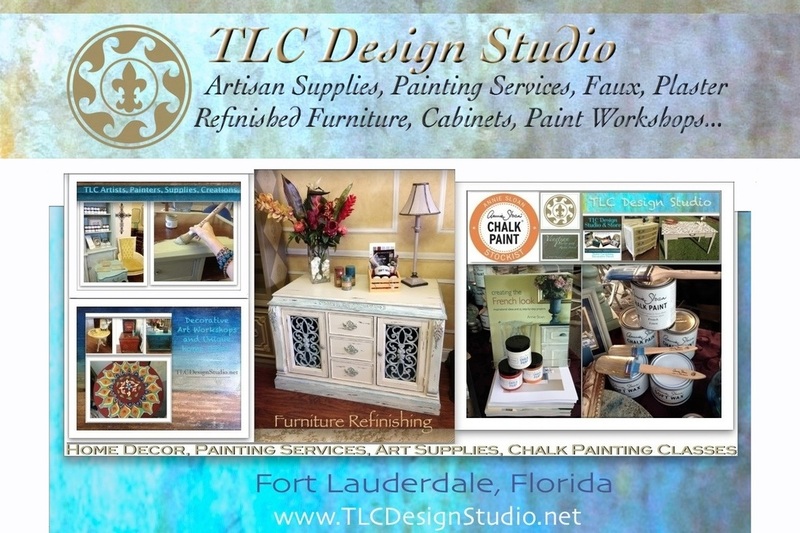 is decorative painting, faux finishes, venetian plaster, selling their paint store products, and cabinet and furniture refinishing with chalk paint ® by Annie Sloan. My targeted SEO for them are these specialty services, for their particular ranges of clientele, in the multiple south Florida counties, cities and areas they work in. 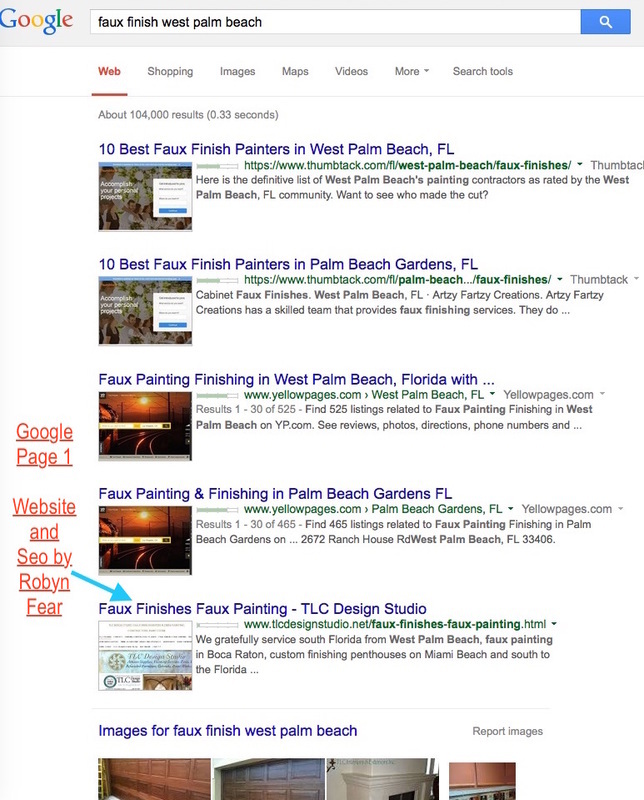 For instance if you look up faux painters in Fort Lauderdale, you will see one of my sites at the top, or Miami venetian plaster, or in Fort Lauderdale, again one of my sites on page one of Google, and more. Optimization for the websites of some businesses needs to be focused on location as well as the service.